So the other day I was stuck eating at a chain Mexican restaurant. Not the most ideal for keto but I’ve gotten pretty good at adapting. 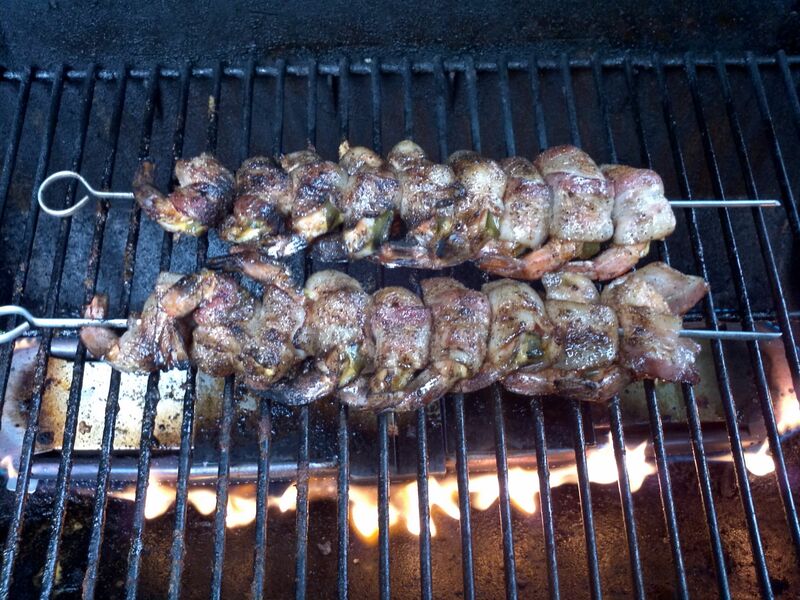 When reading the menu, I came upon Camarones Brochette! 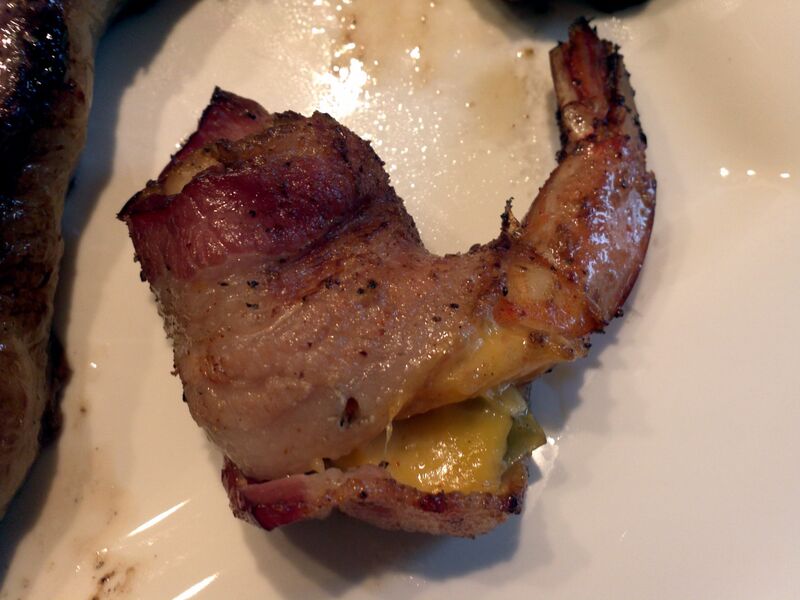 The description was shrimp, stuffed with jalapenos and cheese, and finally wrapped in bacon. I knew I had to make these at home. As you can see, they turned out really well! 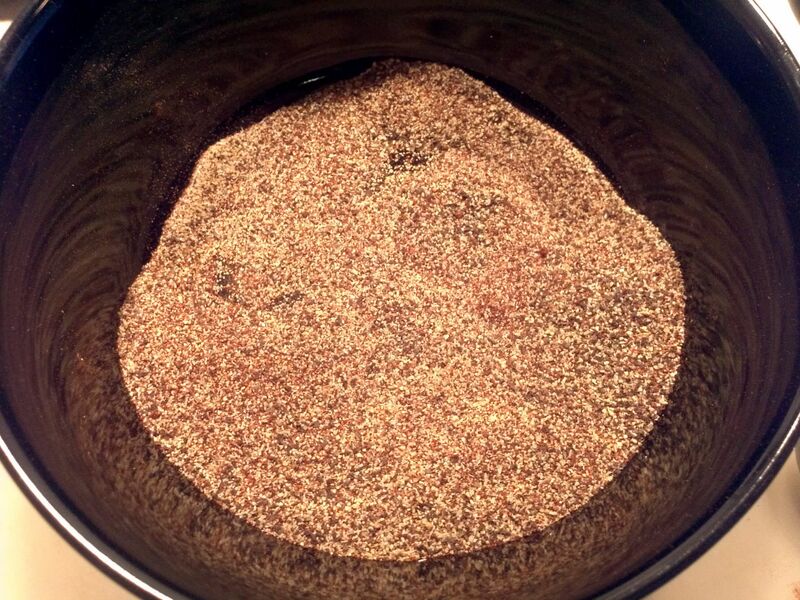 Start by assembling a dry rub with garlic, pepper, paprika and cayenne pepper. Coat the shrimp with the dry rub. Reserve some to sprinkle on the shrimp after they’ve been stuffed and wrapped. You can technically use any shrimp but I used the largest I could find, which was 21-25 count per lb. If they are not shelled, make sure to shell the shrimp and fully thaw them if frozen. You could buy raw or precooked shrimp but for laziness these are precooked and shelled. 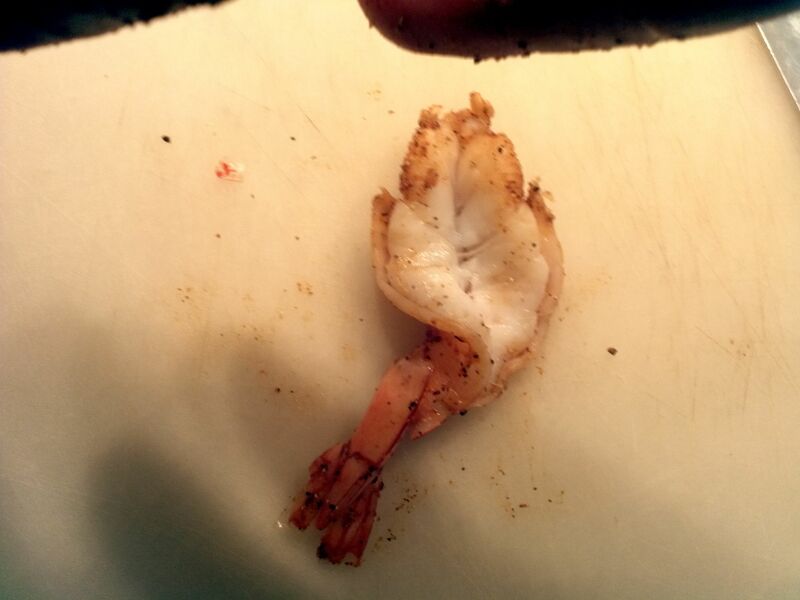 Now, take the shrimp and cut a slit into it with a sharp knife. I use my boning knife cause I think its actually the sharpest knife I own. 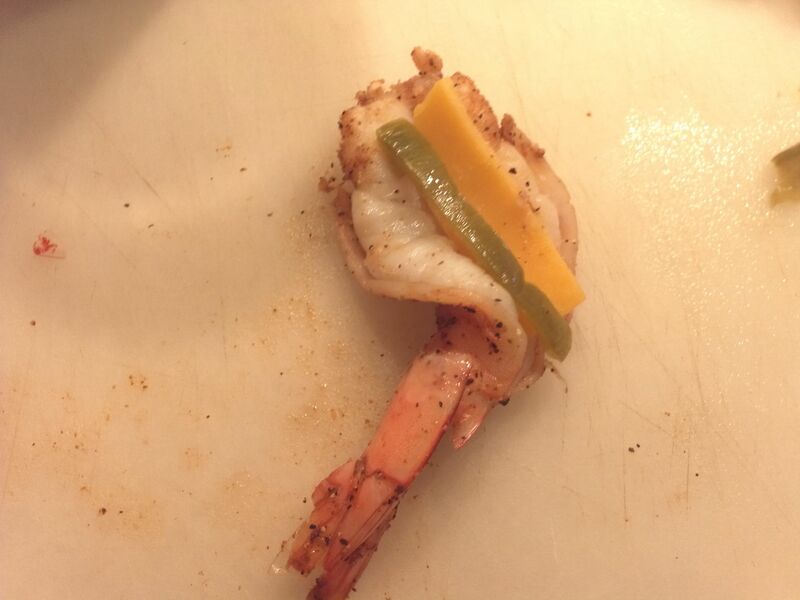 Next I took some jalapenos from a jar and sliced the ring in half and laid it in the shrimp. I also took some slices of cheddar cheese and sliced them thin for stuffing. 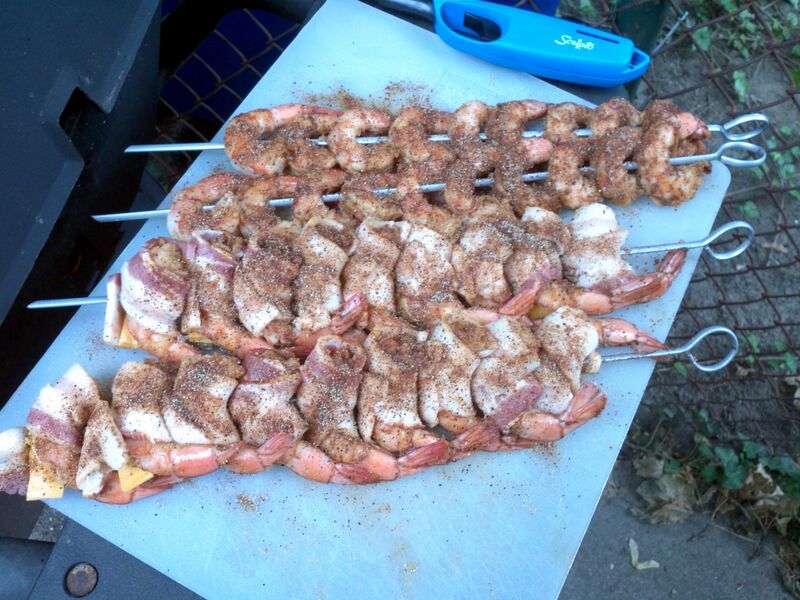 Here is a wrapped shrimp on a metal skewer. You could also use soaked bamboo but who wants to go through that effort? 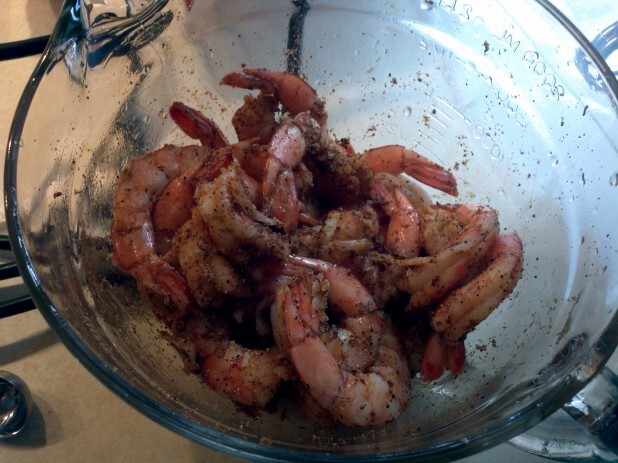 These just go in the dishwasher when done … Each shrimp gets a half slice of bacon. 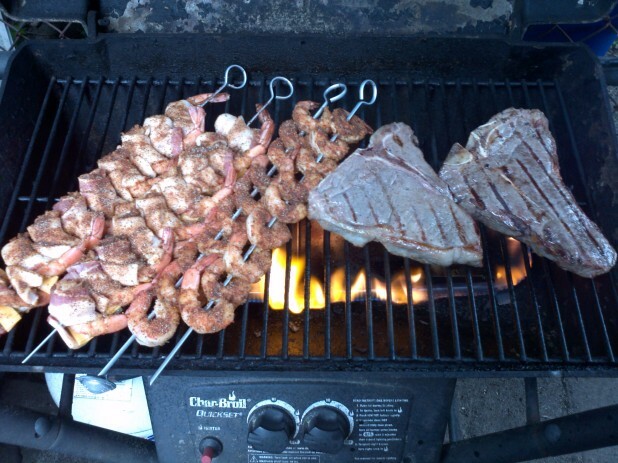 Here are the shrimp on the grill along with some T-bones. 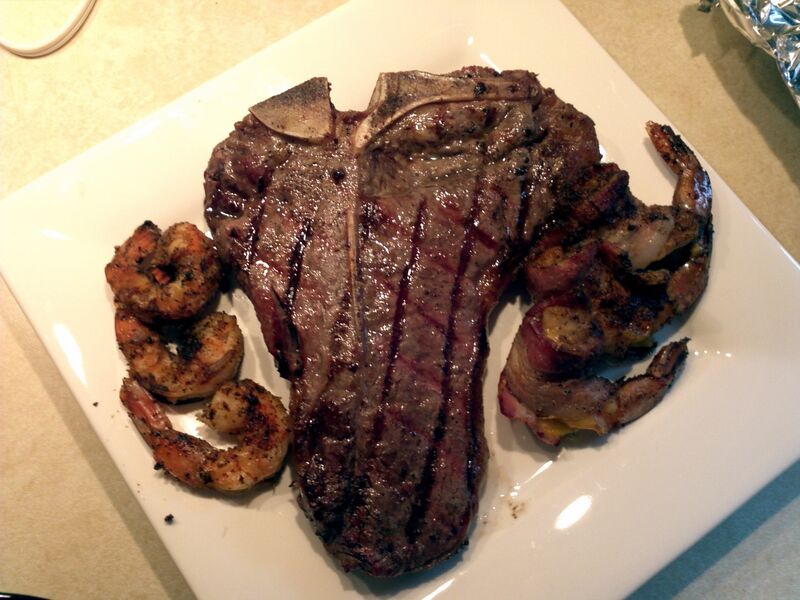 Oh man, this meal was soo good! The steak was awesome and the shrimp had an amazing spicy flavor combined with the smoky bacon. These were so worth the effort!! And really they weren’t hard to make at all. Better than restaurant quality. 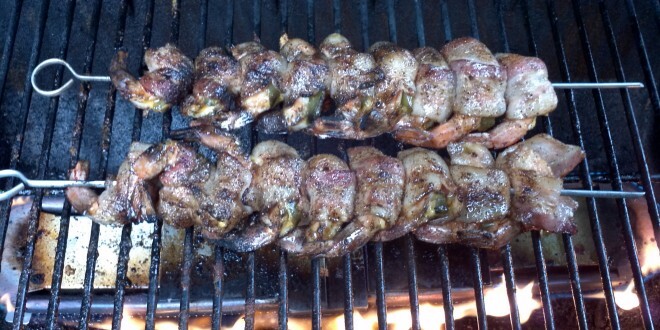 I broiled them pretty close to the heat for a few minutes on each side and the bacon crisped up perfectly. I used smoked paprika since I didn’t grill and they tasted awesome. Thank you for all these great recipes! When cooking the shrimp, did you just cook them until the bacon was crisp? 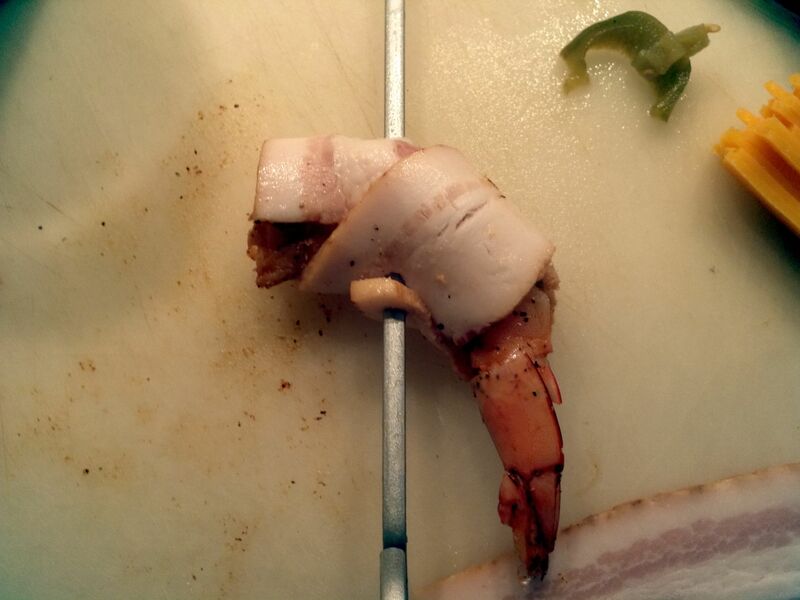 It seems like the shrimp would be over-done by the time the bacon was crisp.